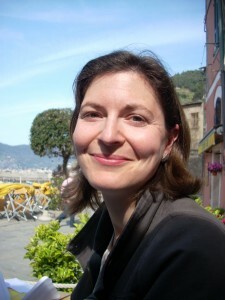 LONDON: British editor Rebecca Carter is known in the publishing world for her indefatigable work bringing international literature in English and in translation to readers. Over the past 15 years she spent at Random House UK’s imprints Chatto & Windus and more recently Harvill Secker, Carter has edited Ma Jian’s Beijing Coma, Javier Marías’s Your Face Tomorrow, Irene Némirovsky’s Suite Française, Dai Sijie’s Balzac and the Little Chinese Seamstress, Atiq Rahimi’s Earth and Ashes, and Xiaolu Guo’s A Concise Chinese–English Dictionary for Lovers. But just last month the news hit the industry that Carter was leaving Random House in mid-February to become an agent for none other than Janklow & Nesbit‘s London office. The “demise of the editor” has been a frequent lament in Britain and America over the past twenty years as the economic imperatives of large-scale publishing necessitate the prioritization of marketing over the costly, time-consuming process of working on texts to make them as good as they can be. The massive increase in the number of literary agents has been, in part, a response to the failure of publishers to give authors enough editorial time, itself in part a catalyst in the breakdown of close author-editor relationships. Because the answer became the impossible both, Carter has chosen the path of nurturing talent. “I want to follow an author’s career. I want to be that stable person in an author’s life,” said Carter in a telephone interview. Carter is an editor in the traditional sense of the word, and it is telling that she is becoming an agent in order to do her métier. Will Carter continue to promote authors in translation when she is an agent? Given the stable of readers and translators that Carter has cultivated around her, authors will inevitably be sent her way and she may feel tempted to take them on, as exhausting and rigorous as seeing through literature in translation can be. Carter also just acquired world English rights to Taiwanese author Mingyi Wu’s novel The Man with the Compound Eyes (working title) for which she sold American rights to Pantheon in November. Emran Mian’s book The Banker’s Daughter, Saira Shah’s “very personal” first novel, and Clare Clark’s novel set in 19th century London. Carter, who also edits non-fiction, has been working on British lawyer Clive Stafford Smith’s book on about Kris Maharaj, a British citizen controversially convicted of murder in Florida and given the death sentence. There is a lot of anxiety within publishing companies to hold onto the old model, “but there are other ways of publishing opening up,” said Carter, citing the example of Words Without Borders using Kickstarter as a way of acquiring funding. DISCUSS: Who is More Responsible for a Book’s Text, Agent or Editor?